Hello friends, old and new! 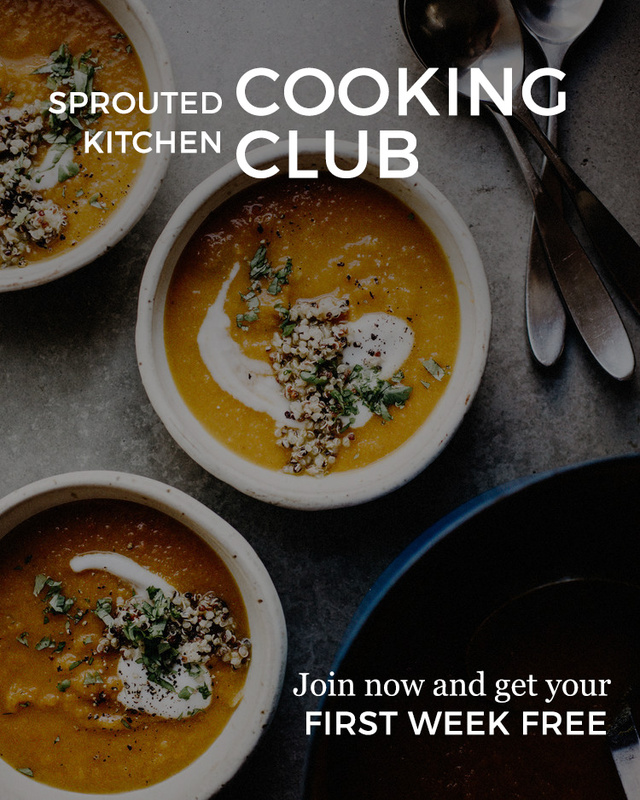 Lots of new folks joining us this week thanks to all you wonderful people gifting Cooking Club memberships to your friends and family. We’re thankful for your support and happy to have some new faces around here. That being said, if you are one of those newly minted members, please take a moment to skim the Getting Started Tips - there’s tended to be a slight learning curve regarding how Cooking Club content is published, archived, and how you can save and revisit weekly entries. If you have any questions, please don’t hesitate to reach out to us. Hope you are all having a wonderful Holiday Season! I do try to keep the dirty dishes to a minimum, but we have a few steps here. The onions are the only part that take some time, and that time is largely hands off, so get those going first while you futz with all the other stuff. A vegetarian option is listed below and beef is an alternative if you prefer it. Prep Ahead: The caramelized onions and mushrooms can be made up to three days in advance. Warm them before assembly. Make it Work Twice: Any leftover onions and mushrooms. Kid Friendly: I leave off the onions and mushrooms for our kids. Gluten Free: Use a gluten free bun or wrap it in lettuce. Dairy Free: Skip the cheese. Lower Carb: Skip the bun and wrap the situation in lettuce. Vegetarian Swap: Skip the turkey and use large portobellos in place of the baby mushrooms. Marinate it in oil, a little worcestershire and Italian seasonings and cook them on both sides on the grill. Start with the onions, they take awhile. In a large pan over medium heat, warm the butter and olive oil. Add the onions, big pinch of salt and pepper and sauté until beginning to soften. Turn the heat down to low, add the sugar, and let them cook, stirring occasionally, until they get golden and jammy. About 30-45 minutes. At some point the pan with look dry and the onions will start to stick, add 2 Tbsp. water and stir it in, whenever this happens. Near the end, add the vinegar and stir that in to finish. Set aside. Heat another pan over medium heat. Warm the butter or olive oil. Slice the mushrooms thin and add them to the warm pan along with a pinch of salt and pepper. Sauté until the liquid has released and cooked off. Stir in the seasoning and grate in the clove of garlic. Set aside. Season the meat with the Worcestershire, parsley and little bit of salt and pepper (worcestershire has a lot of sodium so you barely need to use any salt if using). Stir enough just to work it in. Form the meat into 4 patties, making an indent in the center of each patty. Grill them, outside or on a grill pan, for about 3 minutes on each side, or until cooked all the way through. In the last minute of cooking, put a pile of the grated gruyere on top and cover so it melts. Stir the mustard and mayo together. Toast your buns. Spread on one side, then the patty, mushrooms , handful of greens, smash some onions onto the other side of the bun and press it all together. It will be messy, sorry! This makes a pretty generous sized salad. When I suggest salad as an entree, I realize it takes a lot to get full off of green salad. If you think you’ll be adding protein or another component, skip the cabbage or one of the other greens as the volume may be unnecessary. Prep Ahead: The dressing and roasted potatoes can be made in advance. 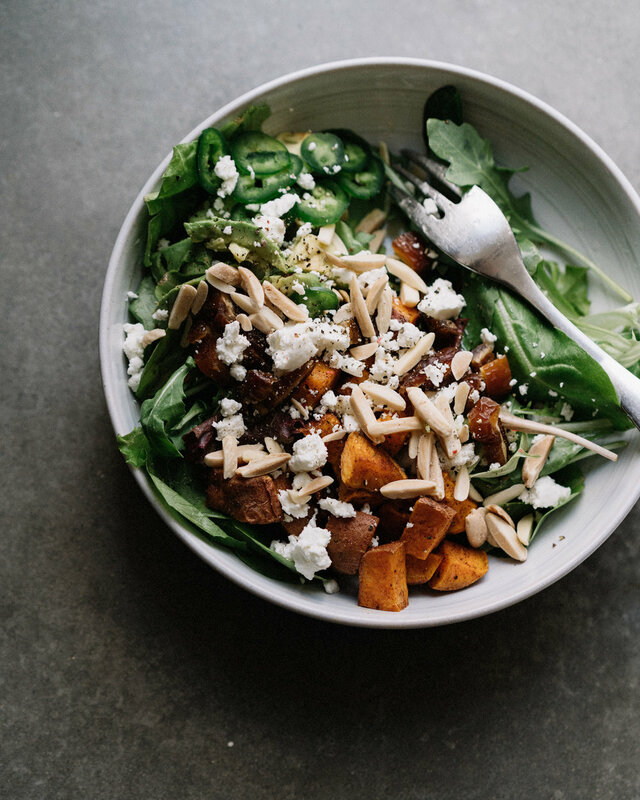 Make It Work Twice: I feel like I need to give you the yields for one recipe, but I would never just roast one sweet potato as a component of a green salad. Make twice as much, eat them with eggs or feed them to your kids with ketchup. They’re nice to have on hand. Kid Friendly: Salads are not popular, but if I pull the potatoes, dates, avocado, nuts and cheese into little sections, they are excited about a snack plate. See note above, consider making extra potatoes. Carnivore Addition: Shred some chicken into the salad, or serve the salad with a steak or seafood of choice. I feel like it can pretty much go with anything. Preheat the oven to 400’. Toss the potato cubes in the oil, cinnamon, salt and pepper. Roast for 20 minutes until tender and browned on the edges. Remove to cool. In a large bowl, combine the baby kale, spring mix, cabbage, jalapeño, dates and almonds. Combine all the dressing ingredients together and whisk to combine. This can also be done in a blender, if you prefer a smoother texture. Add the potato cubes (and shredded chicken, if using) to the salad, drizzle desired dressing and toss to combine. Add the avocado and goat cheese on top. The goodies may sink to the bottom, so dig deep when plating your portion. This can take so many alterations, I hesitate to mention all of them at risk of complicating a gloriously simple recipe. You could use napa cabbage in place of the brussels or kale. Some shredded rotisserie chicken or edamame beans or roasted tofu bits if you are looking to fill this out. My hope is that you take these recipes and trust yourself to add to your taste. Clearly we have an Asian flavor theme going here, add accordingly. Pull the kale leaves from their stems and discard the stems. 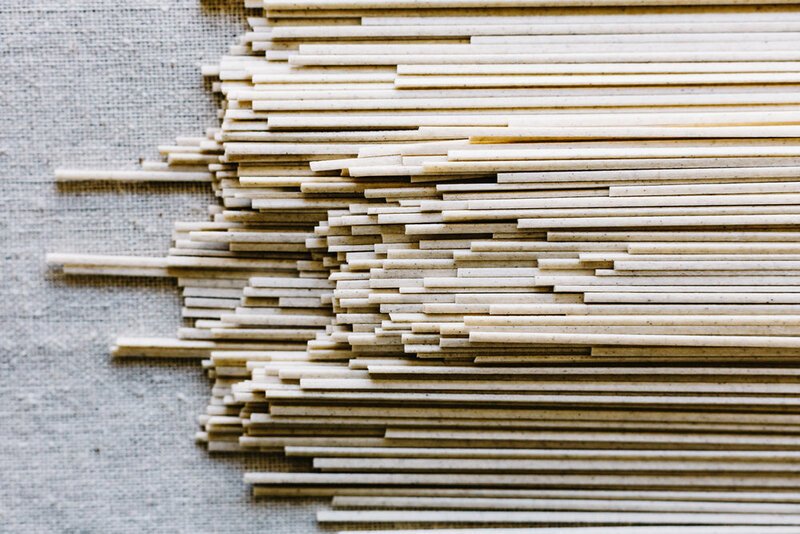 Working in batches, stack the leaves, roll them up tightly lengthwise, and then thinly slice them crosswise into narrow ribbons. Put the ribbons in a large bowl with 1 tsp. of the sesame oil and 1/4 tsp. salt. Massage the leaves with your hands until they glisten. Mince the garlic and put it in a bowl. Stir in the vinegar, remaining sesame oil, soy sauce and pepper flakes. Pour the dressing over the greens and toss well. Add the scallions and sesame seeds. Bring the water to a boil. Cook the noodles according to package instructions. Rinse them with with cool water and drain. Toss the noodles with the greens. The noodle salad can be served warm or cold. Garnish with peanuts. Welcome new people! This has been the favorite treat and since perhaps we are looking for something a little more virtuous than a Christmas cookie, you have to give this a try. It can take any add-ins in place of the crisp rice cereal - try your favorite dried fruit or different nuts. Make Ahead: the fudge will keep for a weeks in the refrigerator. Use It Twice: double the batch and try different add ins, maybe cocoa nibs and some espresso powder? oats and honey roasted peanuts? Kid Friendly: my kids are very friendly with anything chocolate.